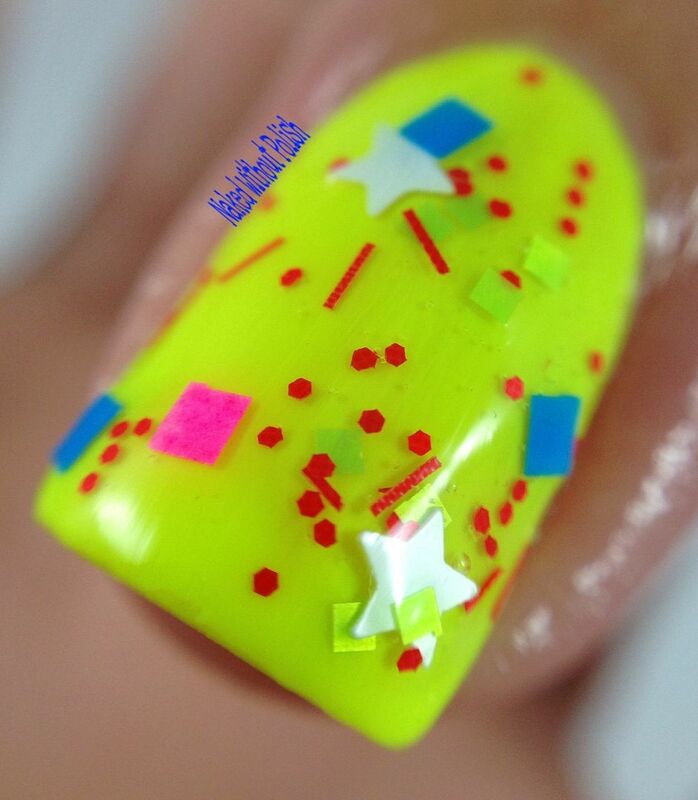 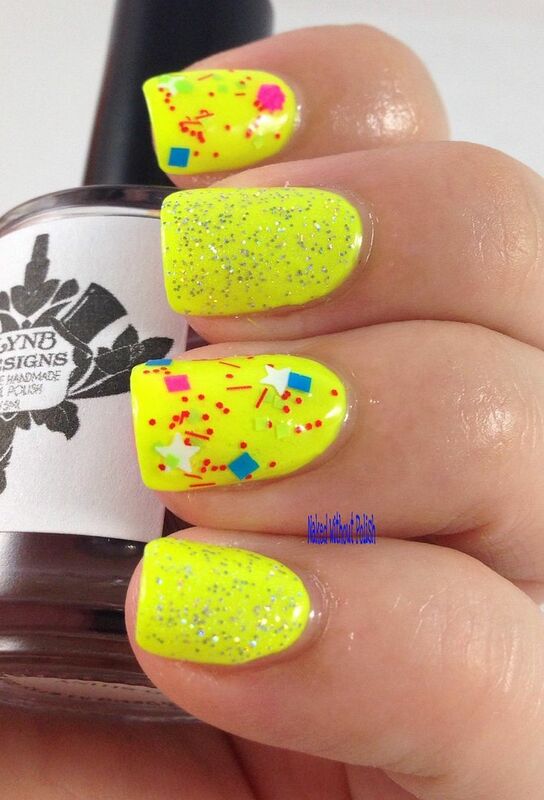 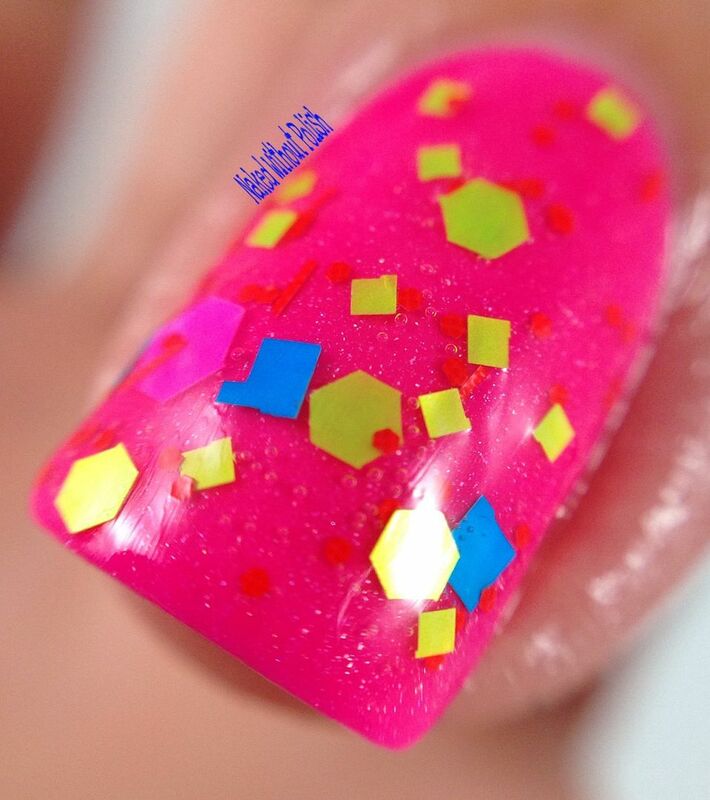 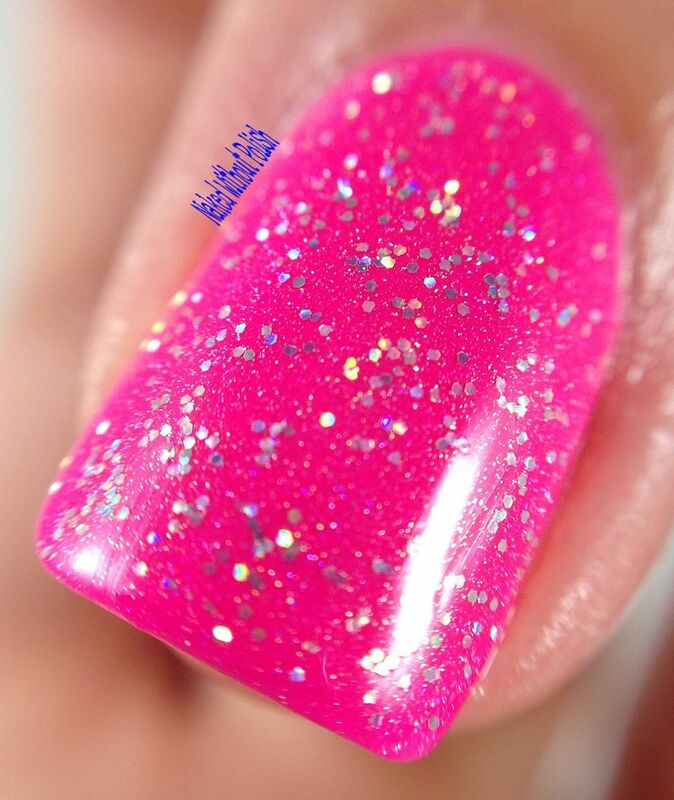 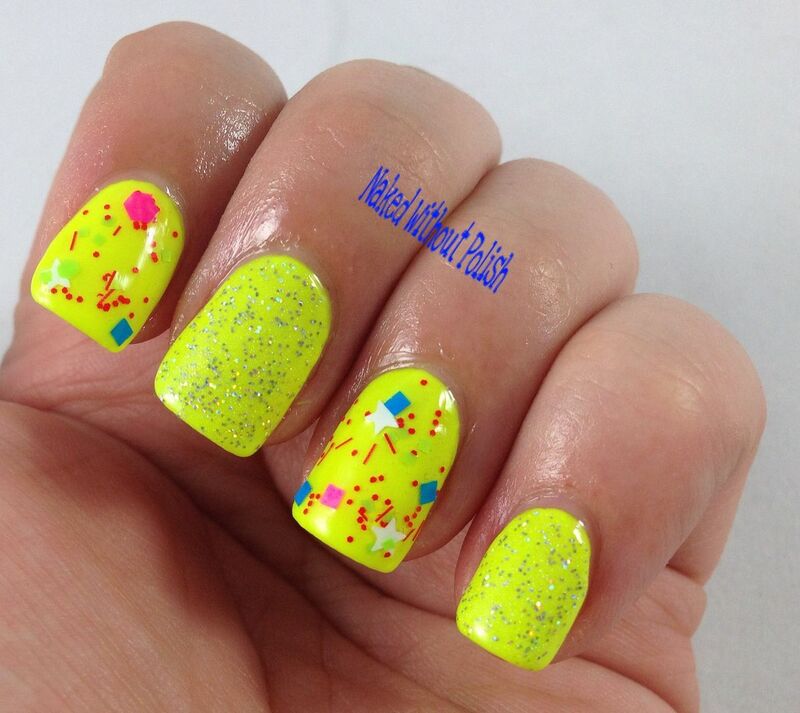 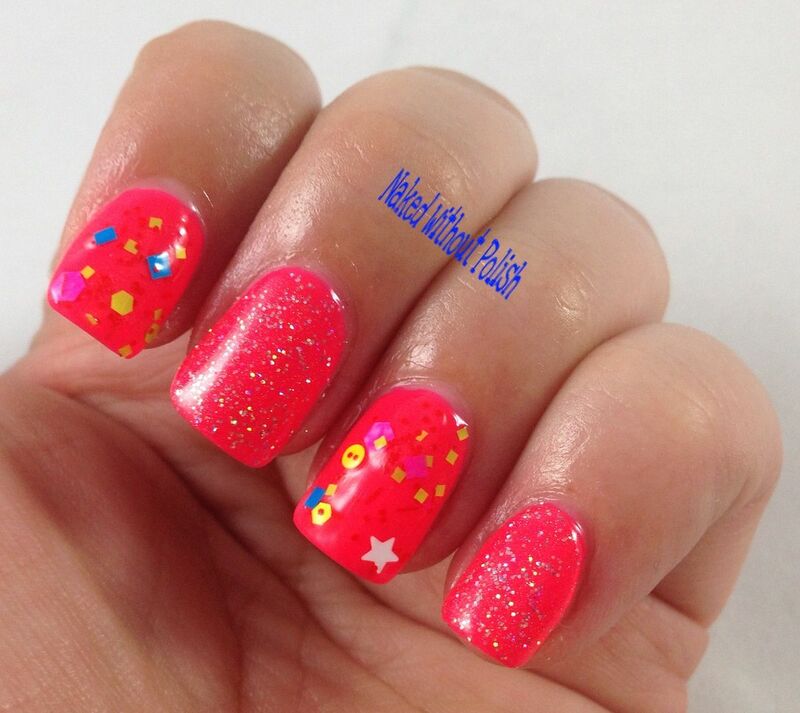 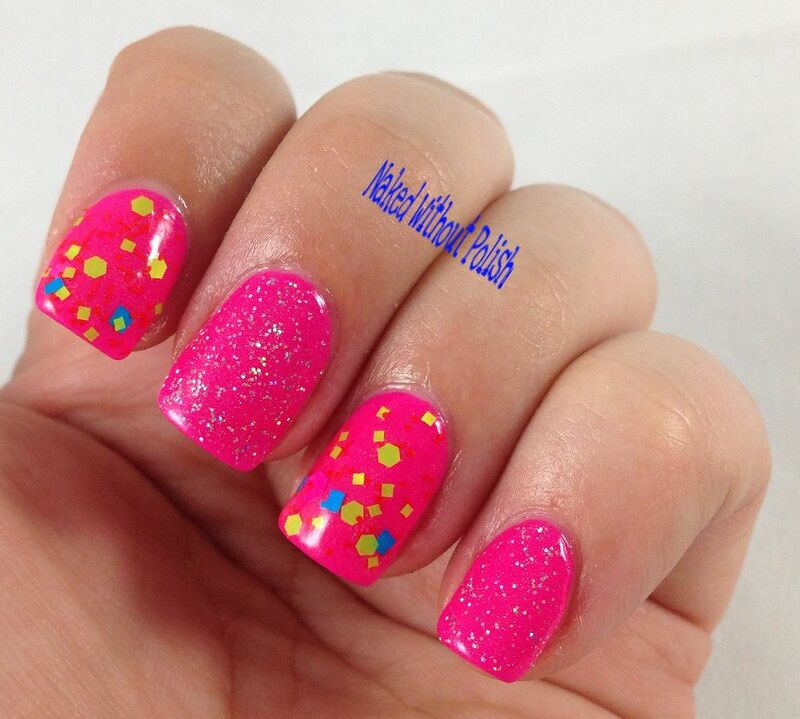 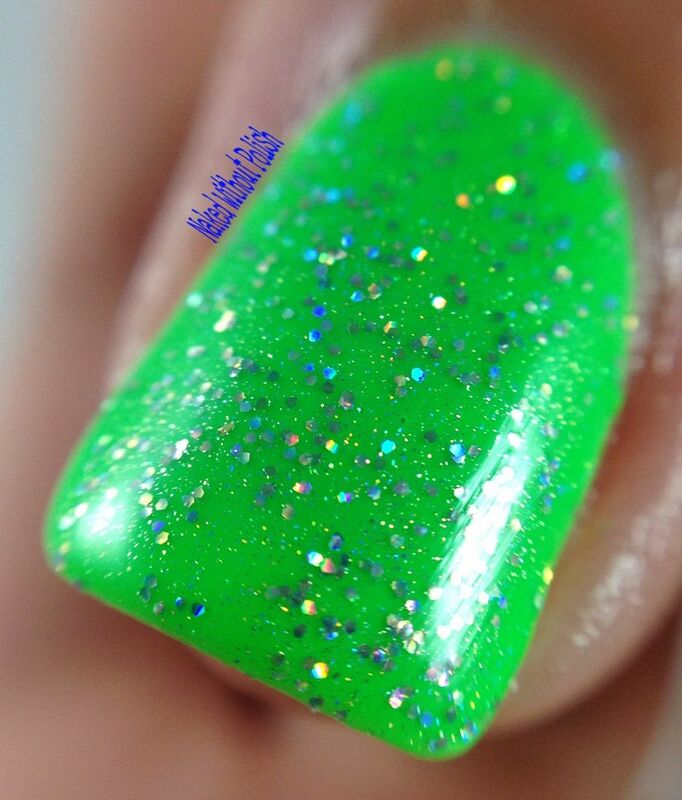 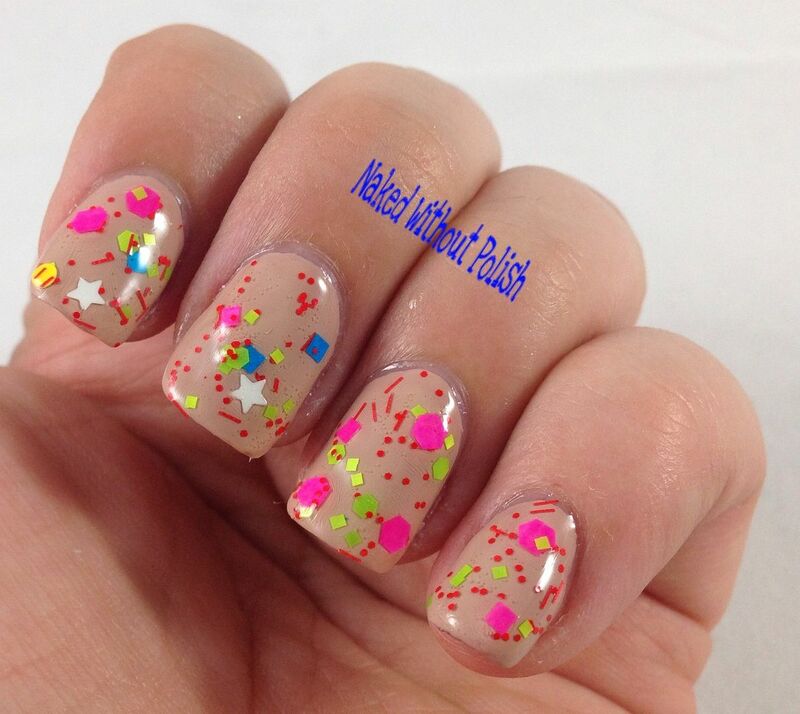 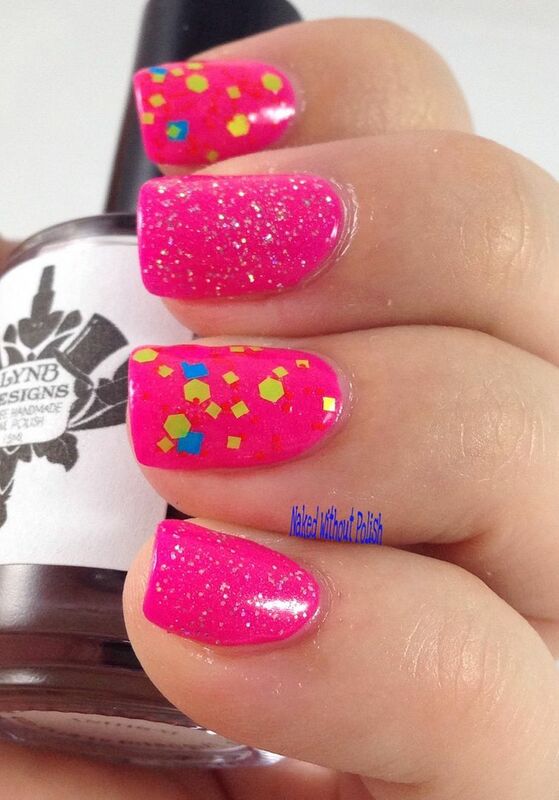 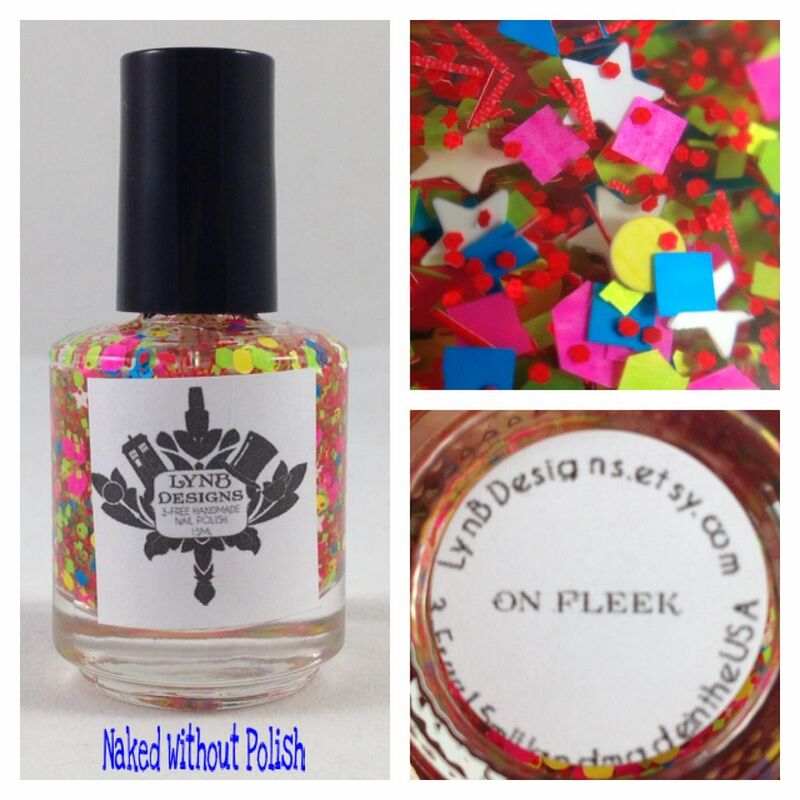 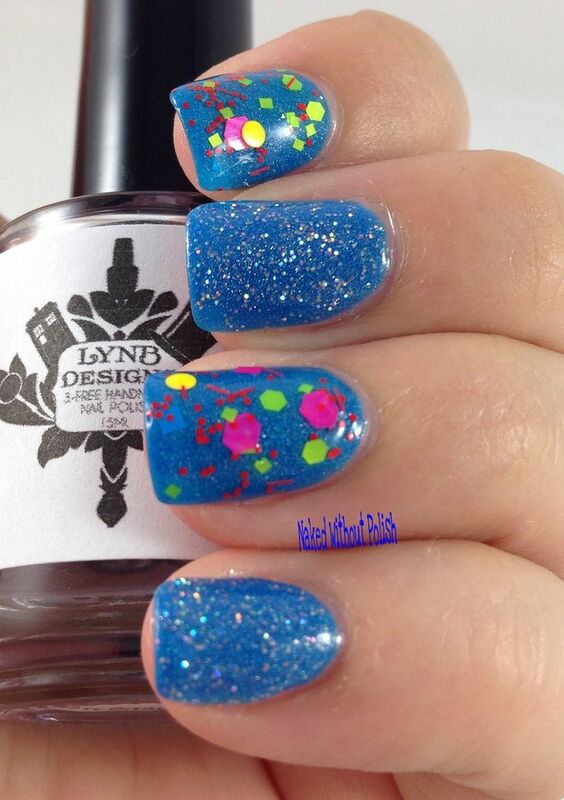 On Fleek is described as "a clear based glitter topper with matte neon pink, blue, yellow, green, and red glitter in multiple shapes and sizes and matte white stars". 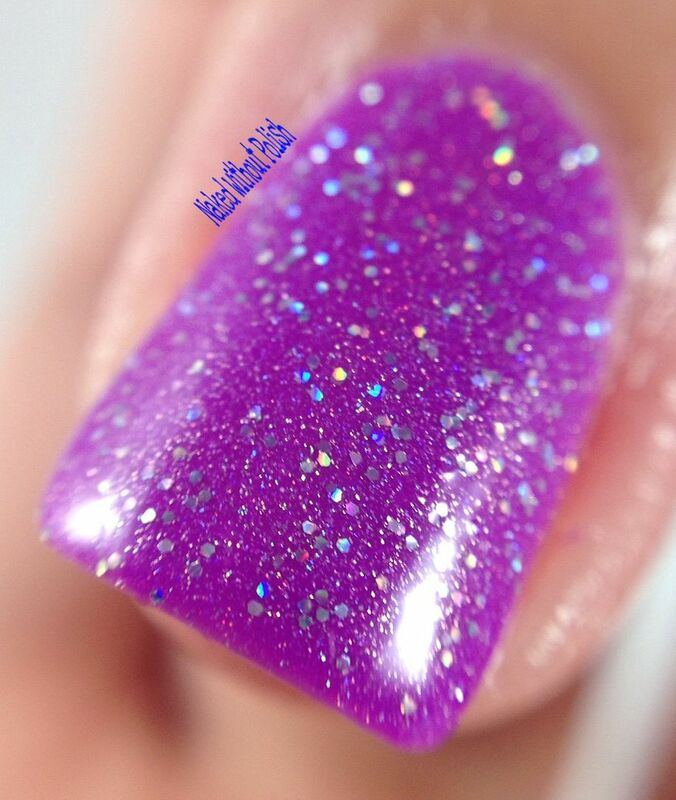 Shown is one coat of On Fleek over Barielle Kiss me Kate. 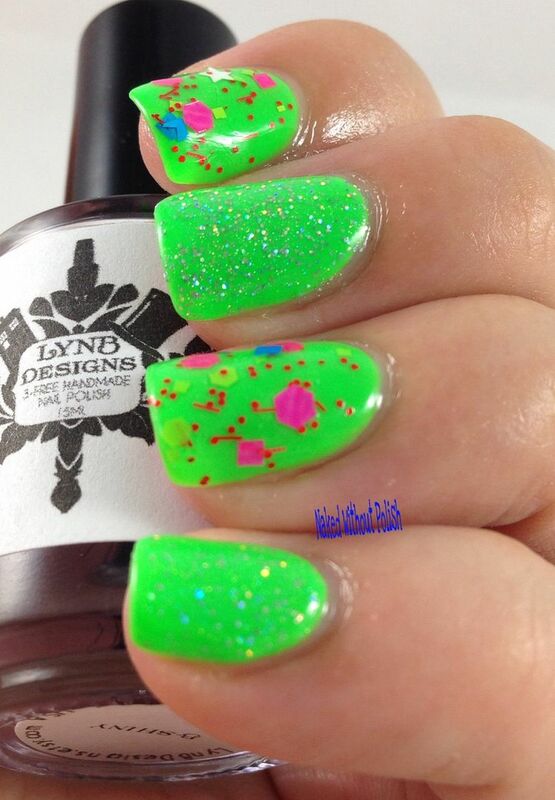 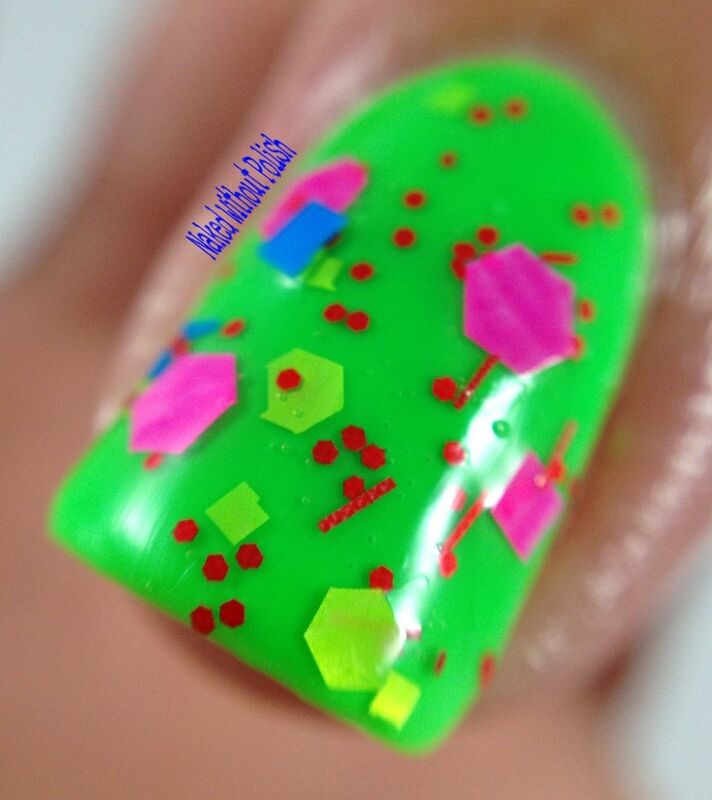 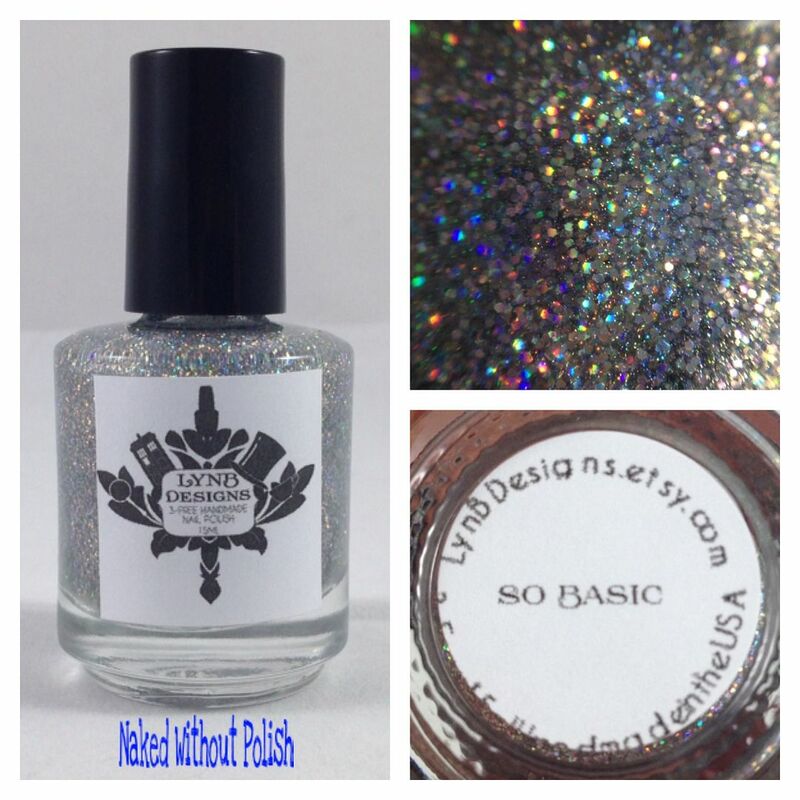 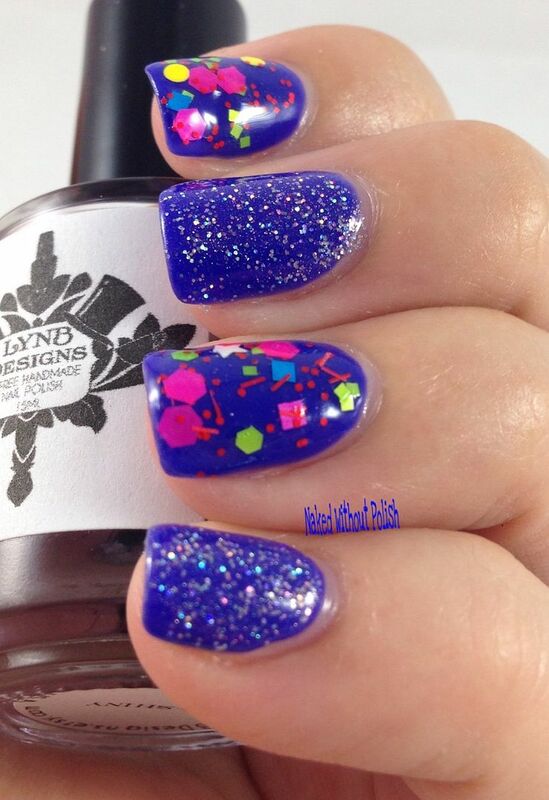 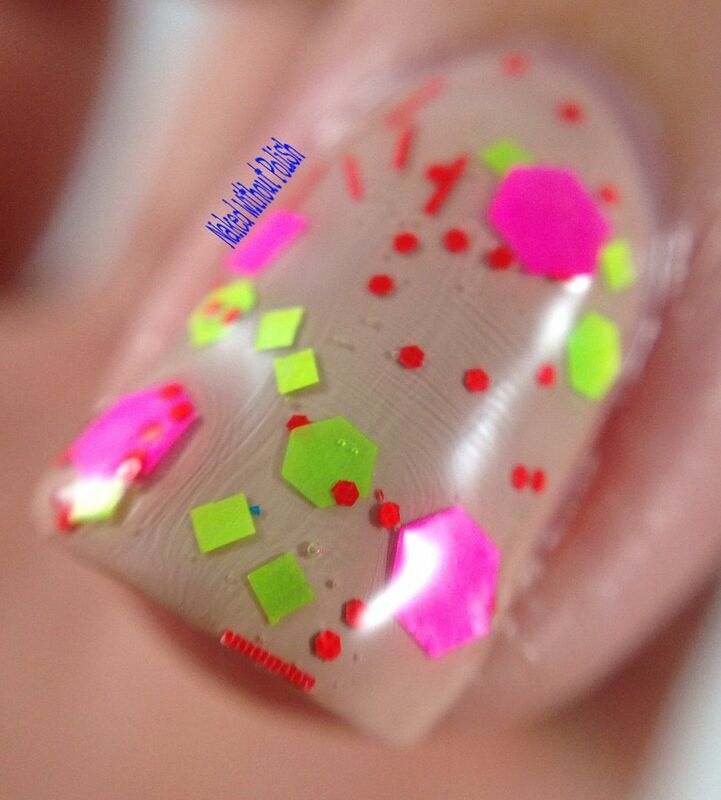 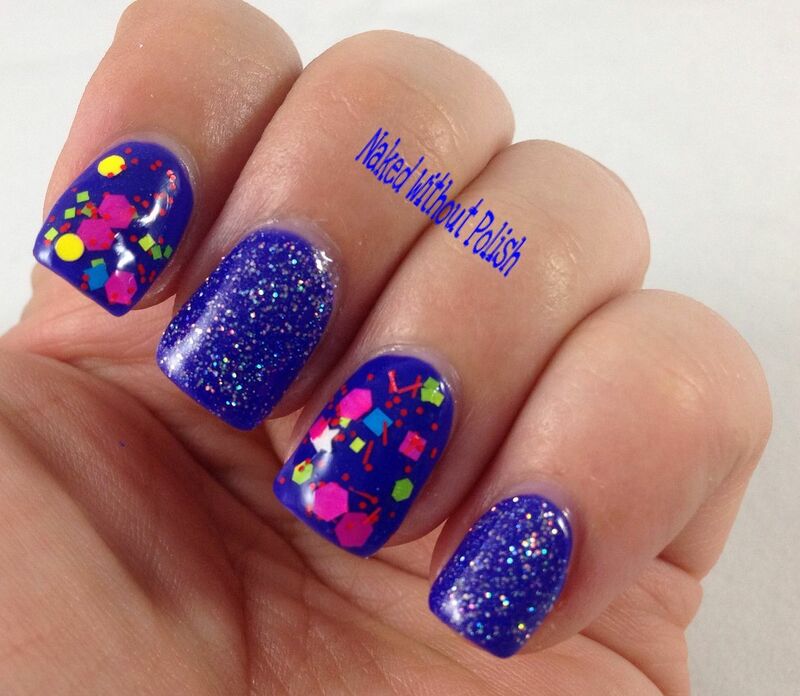 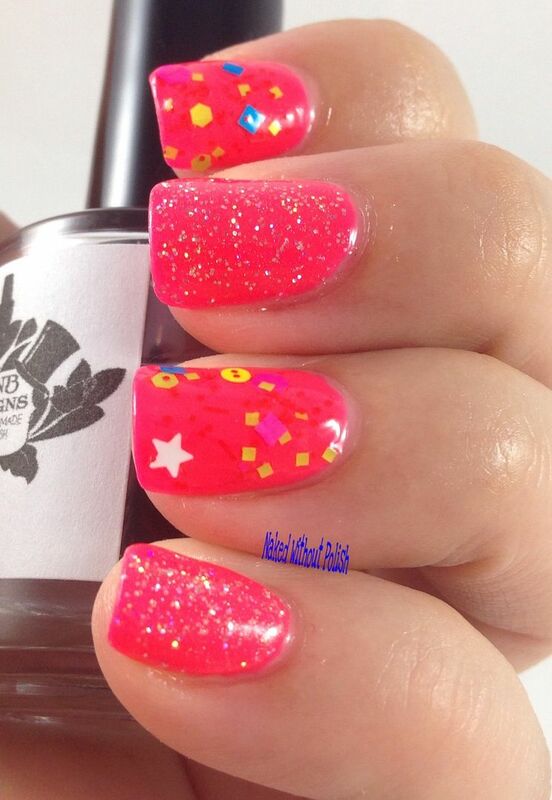 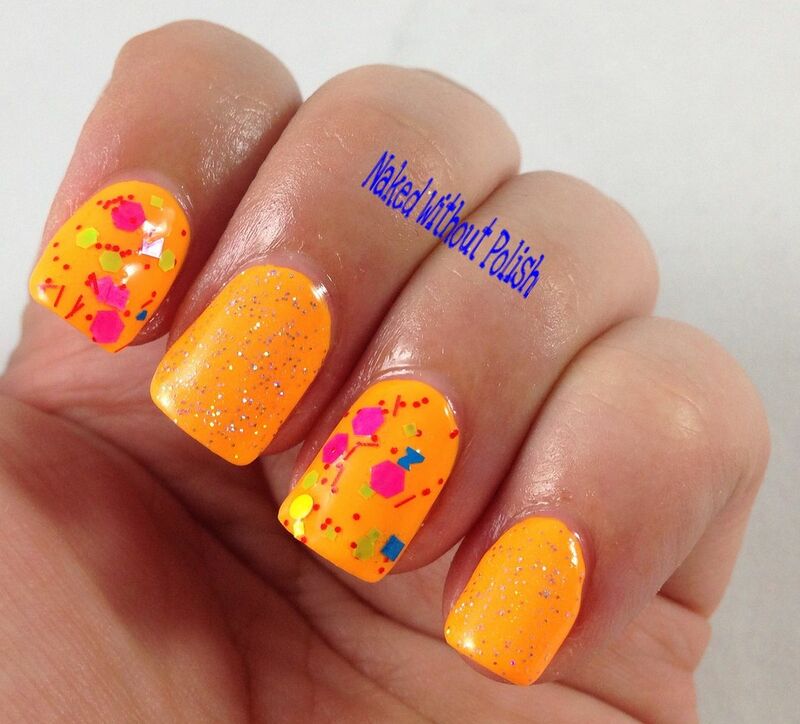 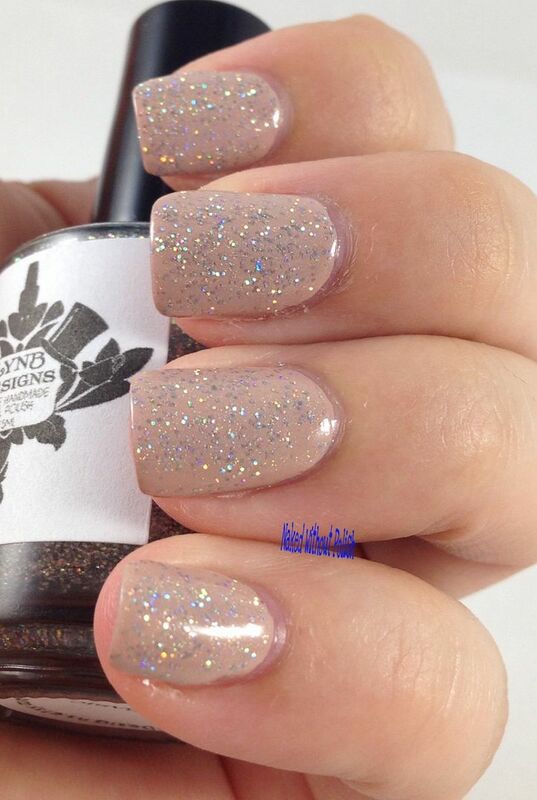 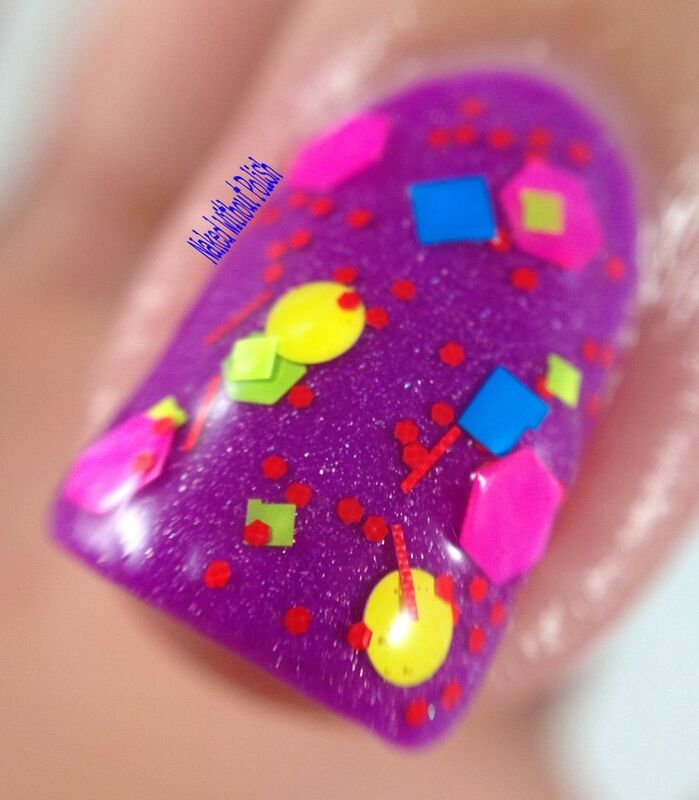 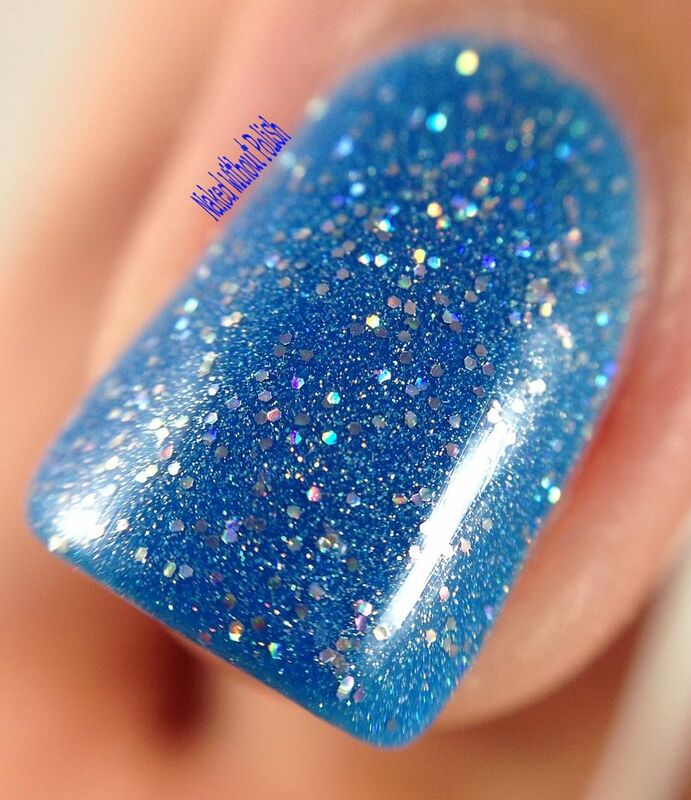 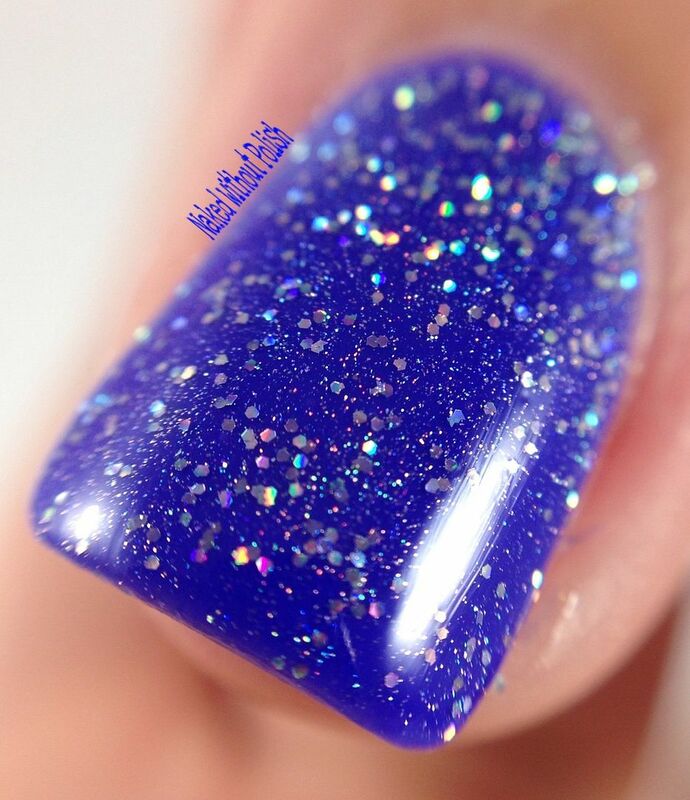 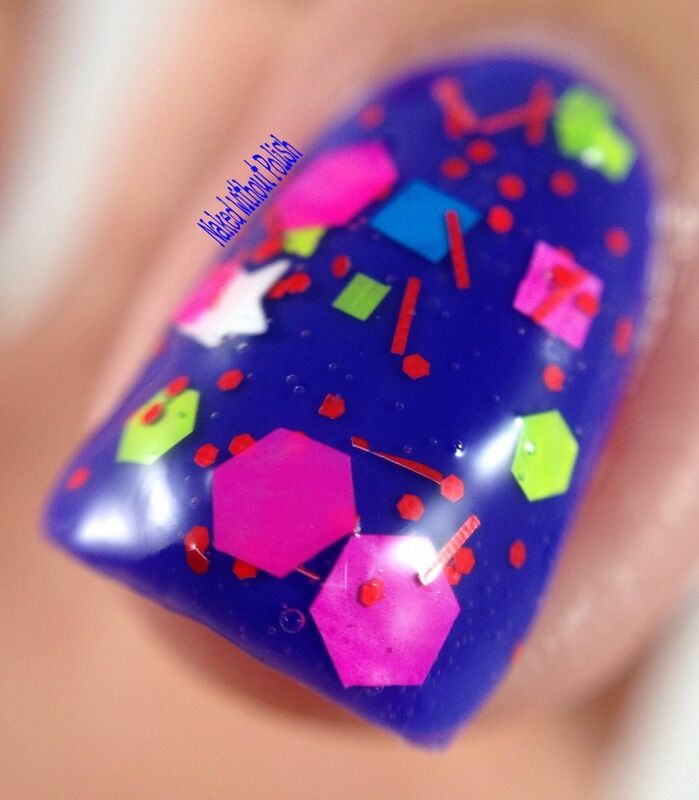 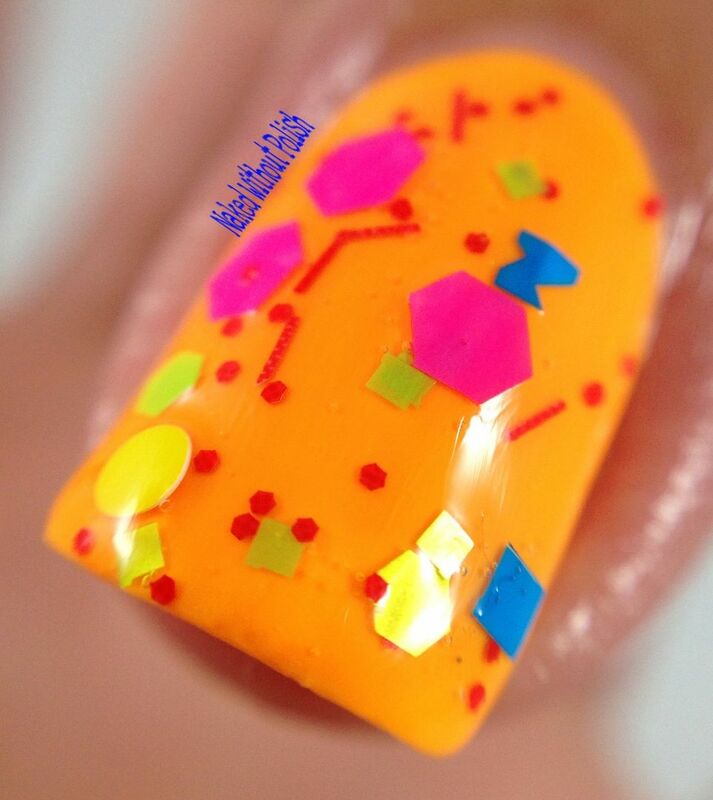 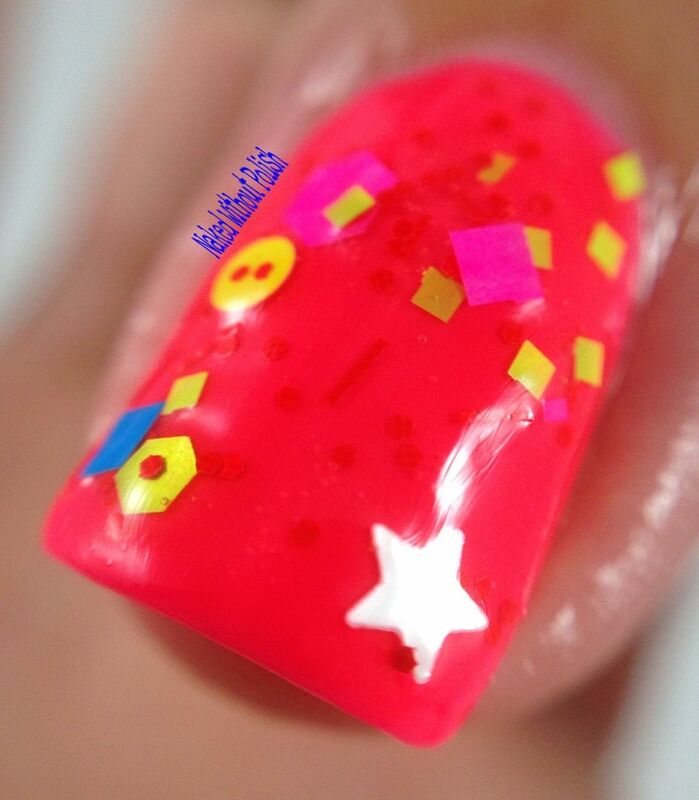 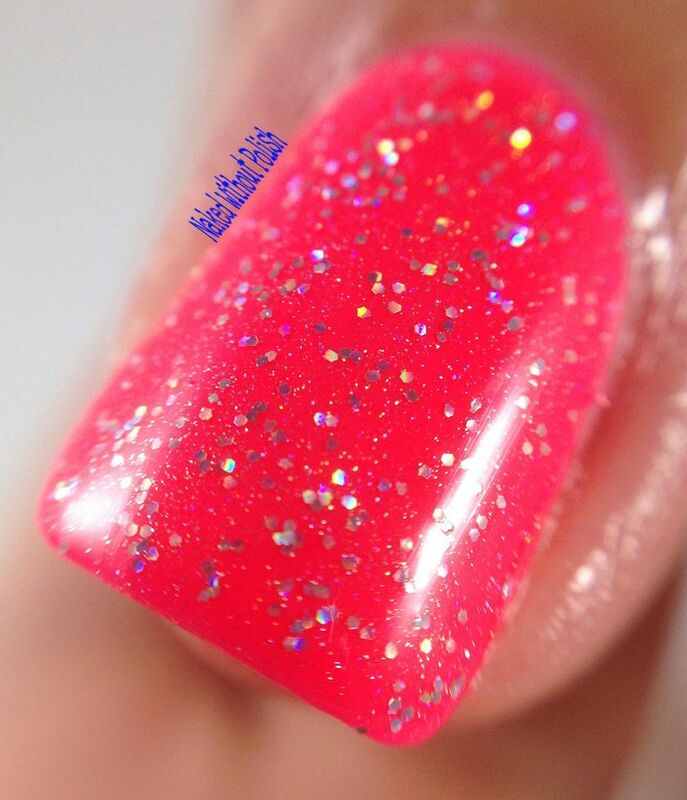 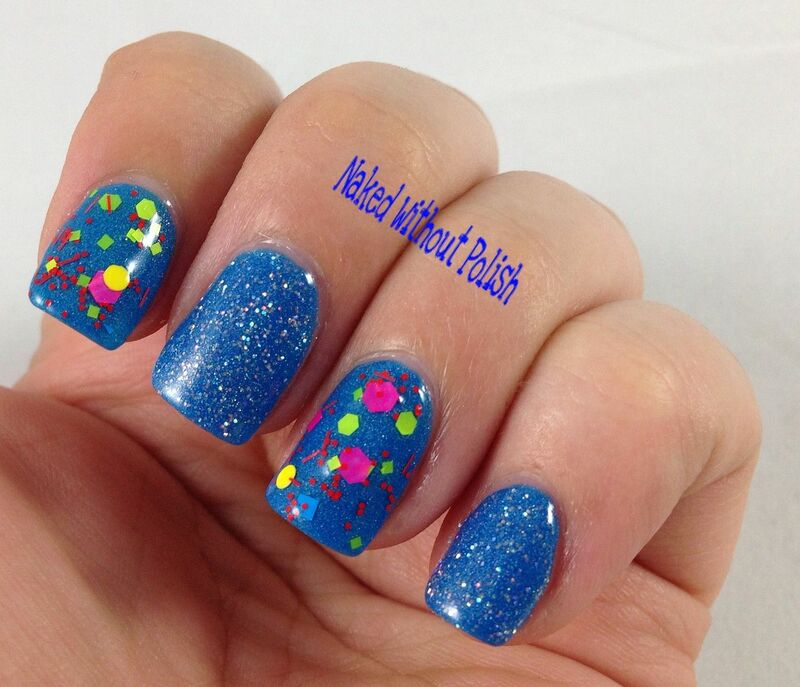 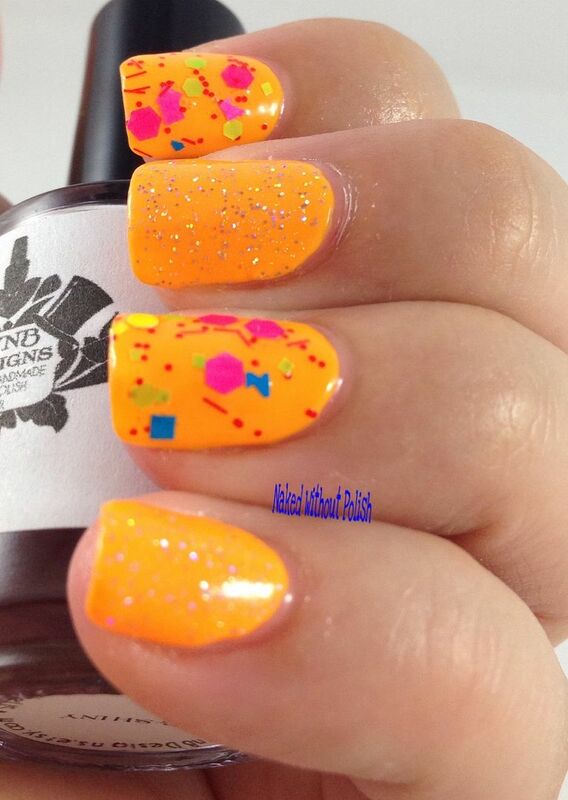 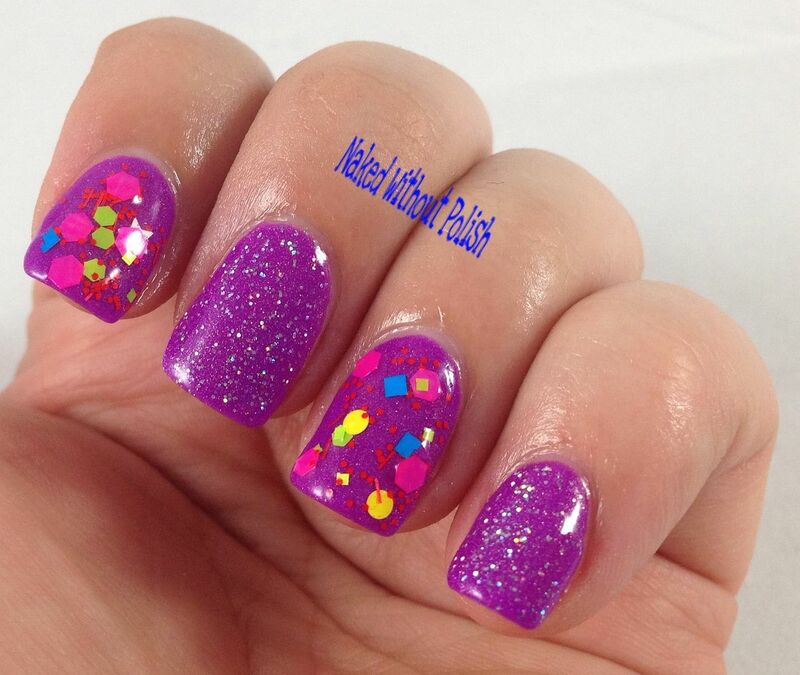 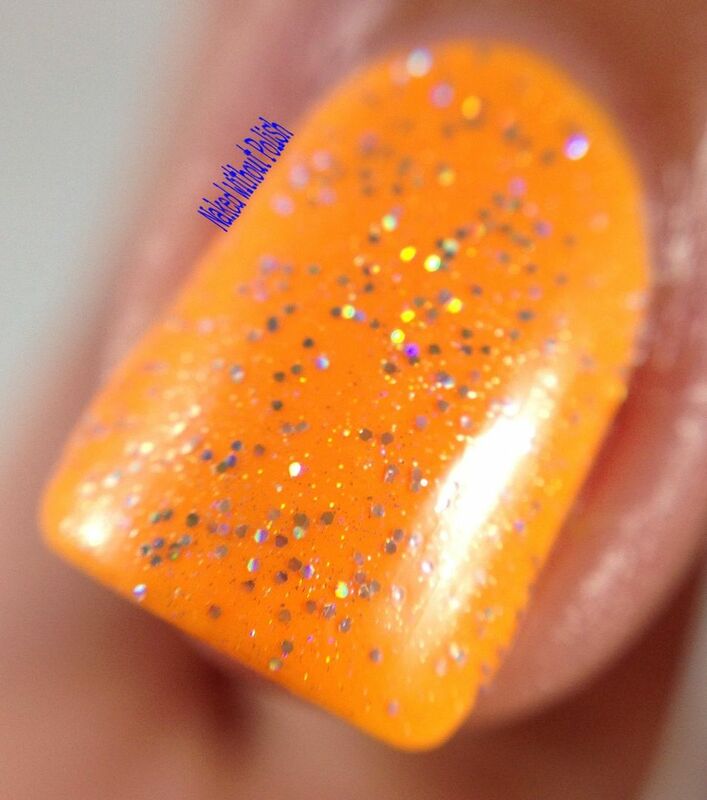 So Basic is described as "a linear holographic topper with silver galaxy holo glitter". 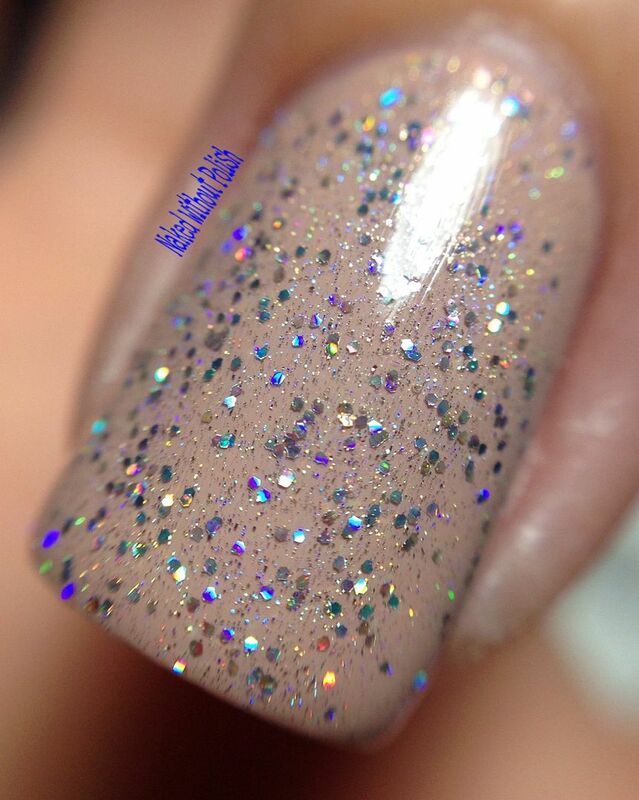 Shown is one coat of So Basic over Barielle Kiss Me Kate. 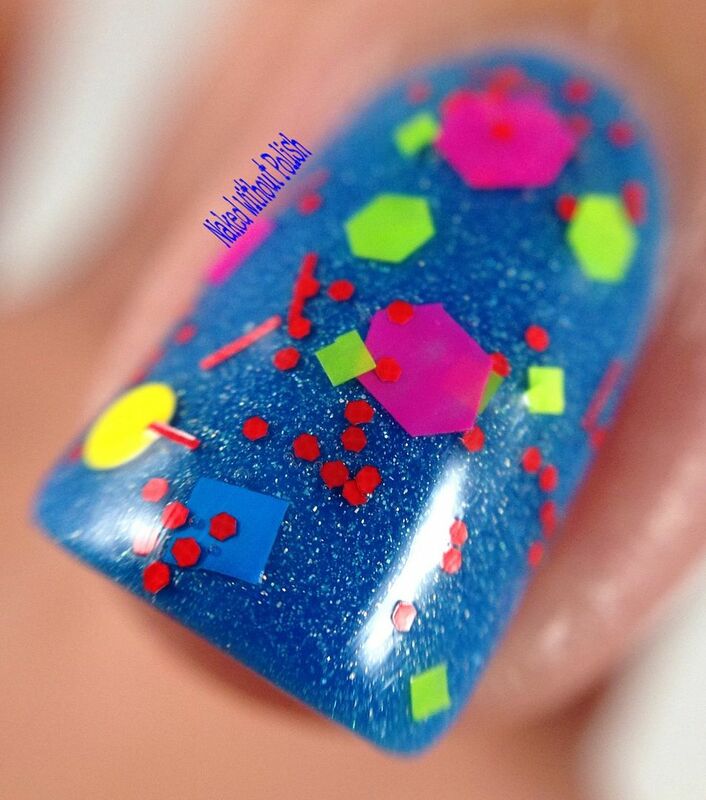 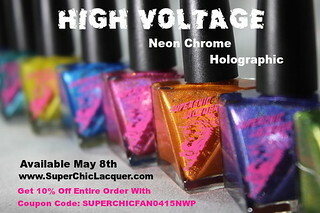 Now that you have seen all ten of the polishes from the Vocab Collection, now you get to see both toppers over each of the solids. 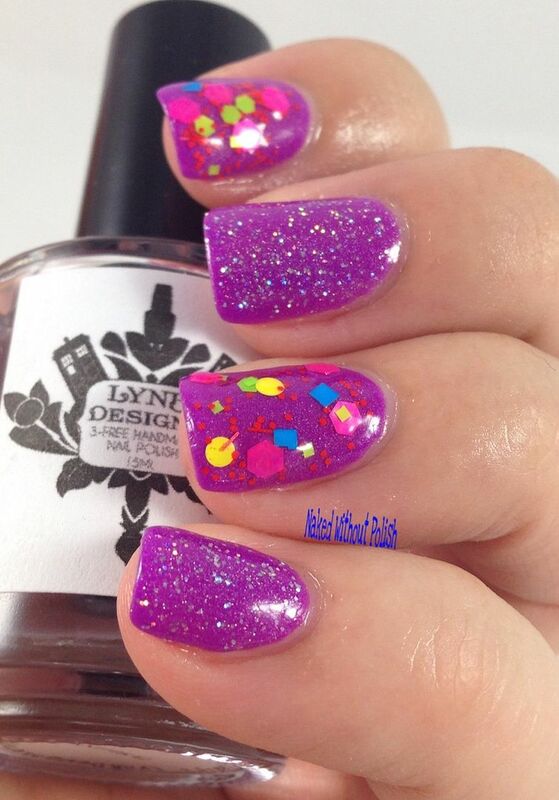 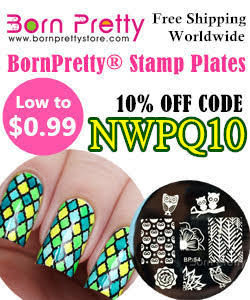 Each of these are so much fun and compliment the creams, crellies, and shimmers perfectly in very different ways. 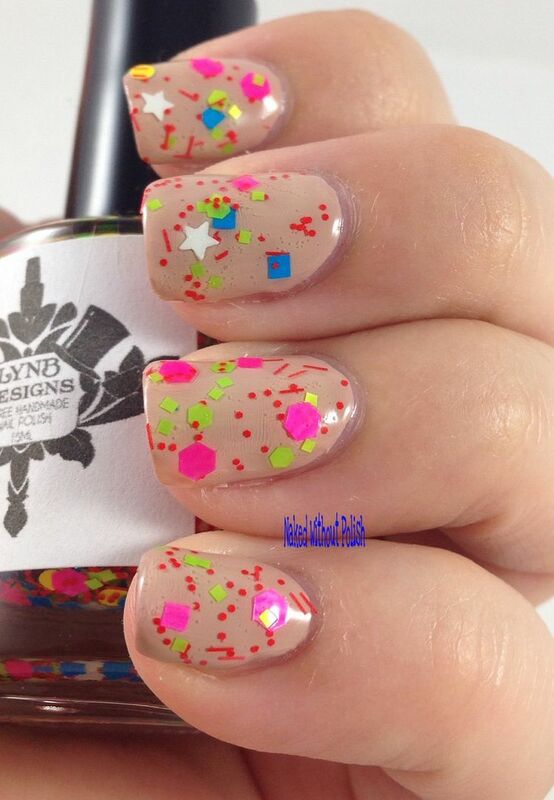 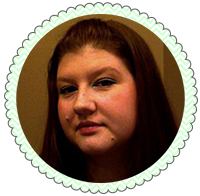 Jennalyn did an amazing rounding out this collection and making them all fit so perfectly together. 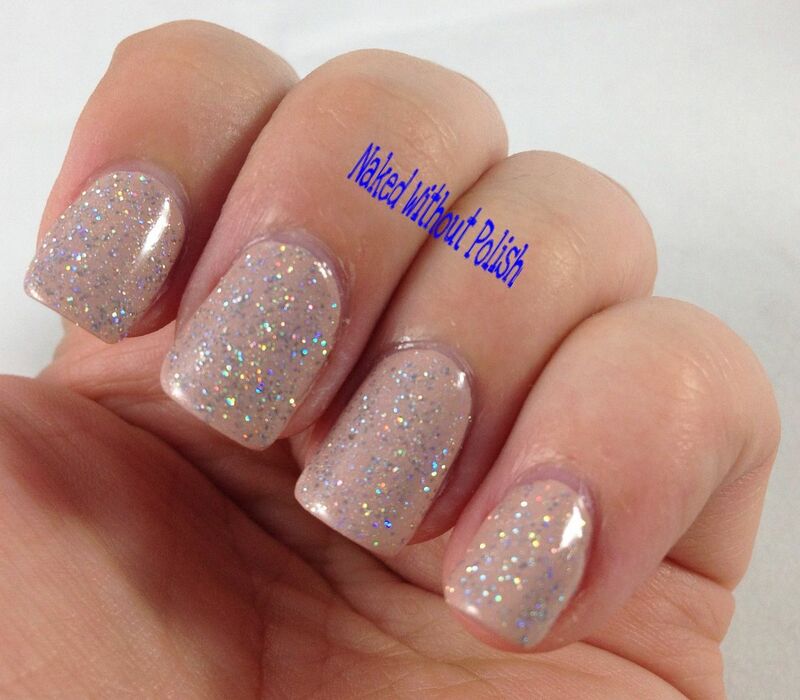 There was no difficulty in applying either of the glitters. 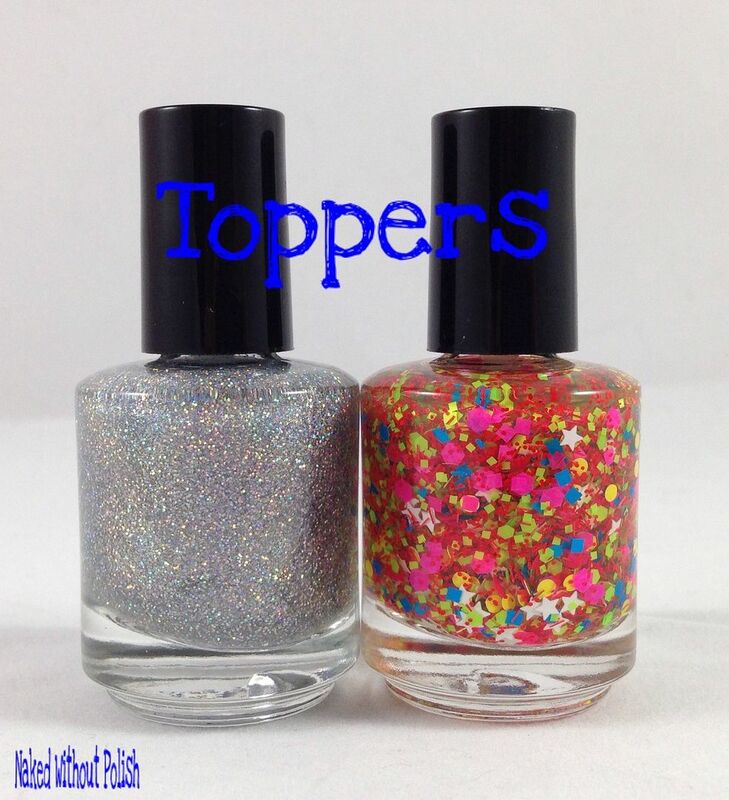 Each of these beauties will be available here starting May 1st, 2015 at 7 pm EST for $10 each, except for On Fleek as it is priced at $8. 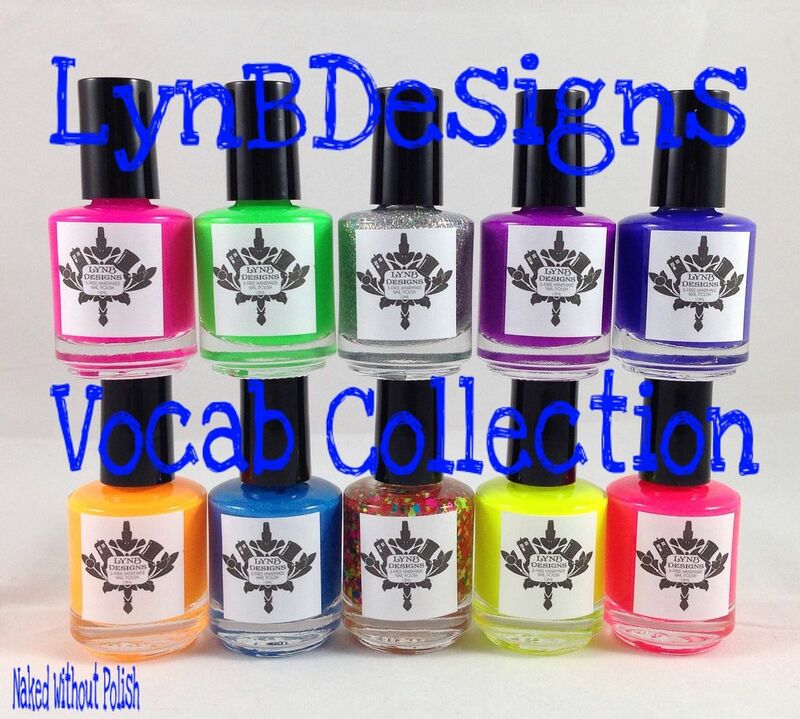 I love all 10 of these, but my must haves would be Slay, YOLO, Yas, Adorbs, and So Basic.